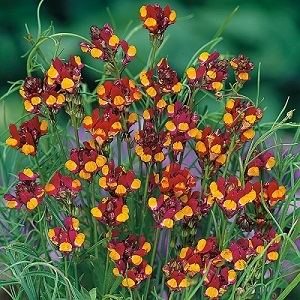 Linaria ‘Spanish Dancer’ is a showy and easy-to-grow Hardy Annual. There is a profusion of crimson and golden-yellow flowers from June to September. Plants grow to a height of 25-45cm and are great in cottage gardens, in containers, baskets, as bedding and cut flowers. Netted Toadflax grows best in sun to part shade and well-drained soil. Pack of approx 8000 seeds. Sow directly into the ground in autumn (August – September) or spring (March – May). Or sow indoors in early spring. Sowing instructions and a colour photo are printed on the packet. Sow Sow in spring or autumn. Sow directly into the ground in spring (March– May) or autumn (August- September) about 5mm deep, keeping moist until the seedlings are established. Or sow in early spring 1mm deep in trays or modules of seed compost, keep at 15-18°C and germination takes 1-2 weeks. Do not exclude light, which is needed for germination. Transplant seedlings into pots when they are big enough to handle and out into the garden or containers after the last frost. Grow Deadhead plants to prolong flowering. Remove plants after flowering in the autumn. 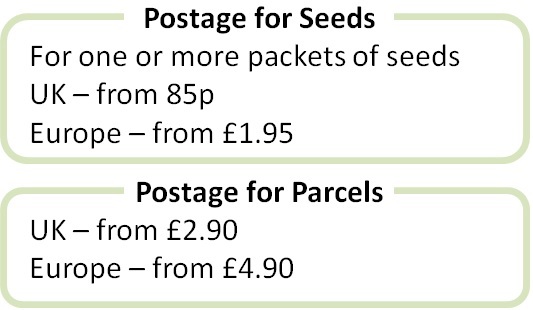 Sow more seeds in autumn or spring.